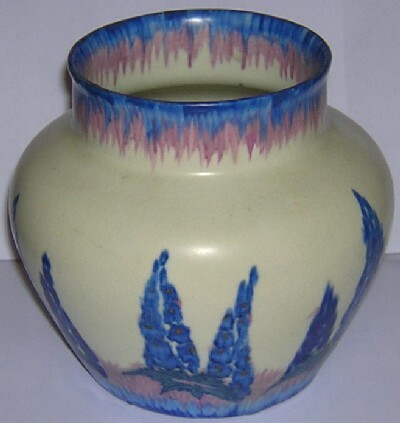 ITEM C64 - Carlton Ware Handcraft vase in the Delphinium pattern number 3273, c1929-1939. 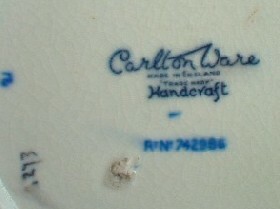 A Carlton Ware Handcraft vase in the Delphinium pattern, number 3273. 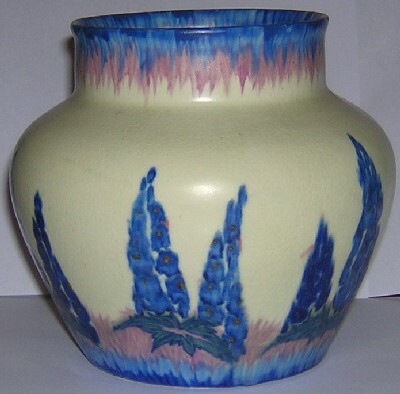 This vase is decorated with blue delphinium flowers on a white and pink ground. It is 12 cm high, and dates c1929-1939. Condition: Excellent - no cracks, chips, hairlines, restoration or wear.